Richard Armstrong, the new Director of the Guggenheim via NY Times. 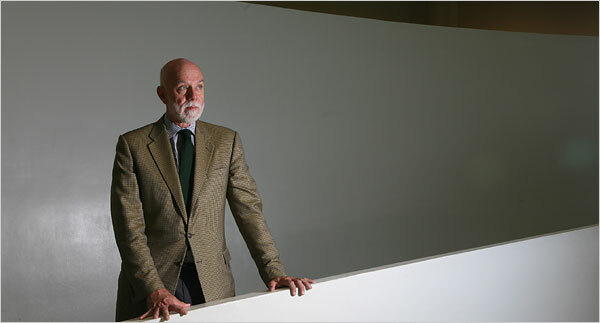 As anticipated by Art Observed earlier this month in a report here, Richard Armstrong of the Carnegie Museum of Art in Pittsburgh has been named the new Director of the Soloman R. Guggenheim Foundation and its flagship the Soloman R. Guggenheim Museum in New York. The announcement made yesterday by the Board of Trustees follows an extensive seven-month international search. The search begin February 2008 after Thomas Krens resigned as Director of the Guggenheim after nearly 20 years. Armstrong served four years as Chief Curator and Curator of Contemporary Art at the Carnegie Museum prior to his appointment as director there. He has also worked previously as the curator at the Whitney Museum of American Art where he organized four biennials and as curator at La Jolla Museum of Contemporary Art, California. The Board’s selection of Armstrong signifies a change in direction for the foundation who is aiming to reaffirm the New York museum as the center of the Guggenheim’s efforts. As Jennifer Blei Stockman, president of the Board stated in an interview with the NYTimes “We were looking for someone with a passion for art who understood that the New York museum is at the center of our universe.” The change follows controversy within the institution in response to former Director Krens international ambitions. Nonetheless Armstrong will also be responsible for the foundation’s global network which includes the Peggy Guggenheim Collection in Venice, the Guggenheim Museum Bilbao in Spain, the Deutsche Guggenheim in Berlin, as well as the Guggenheim Abu Dhabi Museum scheduled to open in 2013. The interior of the Guggenheim which has recently completed three-years of renovations, via NYC Architecture. The Board of Trustees of the Solomon R. Guggenheim Foundation today unanimously confirmed the appointment of Richard Armstrong, effective November 4, to the position of Director, Solomon R. Guggenheim Foundation. Mr. Armstrong, 59, has been the Henry J. Heinz II Director of the Carnegie Museum of Art in Pittsburgh since 1996 and announced his resignation in June of this year. His appointment comes after an extensive international search following the February 2008 resignation of Thomas Krens as Director of the Solomon R. Guggenheim Foundation. As Director of both the Solomon R. Guggenheim Foundation and the Foundation’s flagship Solomon R. Guggenheim Museum in New York, Mr. Armstrong will focus on the pivotal role of the New York museum and its extraordinary collection while also providing leadership and management for the four other institutions in the Guggenheim network: the Peggy Guggenheim Collection in Venice, the Guggenheim Museum Bilbao in Spain, the Deutsche Guggenheim in Berlin, and the Guggenheim Abu Dhabi Museum, scheduled to open in early 2013. Mr. Armstrong will work with senior staff to fully maximize all aspects of the Foundation’s operations: the permanent collections, exhibition programs, loans, acquisitions, documentation, scholarship, and conservation. Additionally, he will work with the Foundation’s development department to build the collections by securing new sources of funding and pursuing global corporate development opportunities for both the Foundation and the New York museum. In his role as Director of the Foundation, Mr. Armstrong will work with the directors of each Guggenheim museum—and with the international curatorial team—to develop exhibition programs and a collections’ development plan that demonstrates a coherent creative vision for the global museum network. Along with the Foundation’s Board Chair and President, Mr. Armstrong will share responsibility for creating a global strategic plan. Working with trustees and the Chief Operating Officer, Marc Steglitz, Mr. Armstrong will assume the lead in ensuring the progress of the Guggenheim by overseeing development, creating and implementing annual and long-term plans, building the endowment, securing public funding, and maximizing sources of earned revenue. 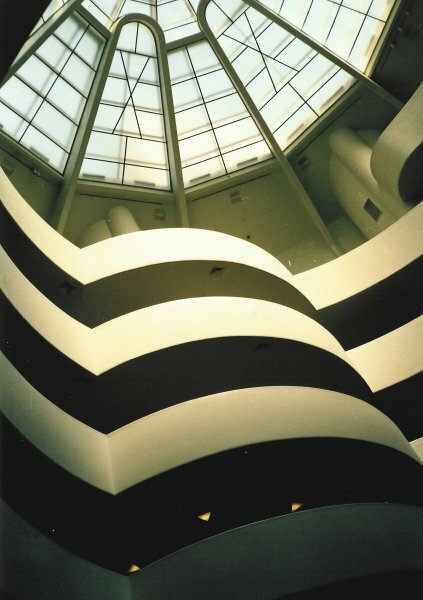 Chaired by William Mack and Jennifer Blei Stockman, the Search Committee involved in Mr. Armstrong’s appointment included eleven Guggenheim Foundation trustees who combine a distinguished array of public and private sector experience with a deep and significant involvement with the Guggenheim and other museum and cultural organization boards. The search was conducted by New York-based executive search firm Phillips Oppenheim. During his 12 years of leadership at the Carnegie Museum of Art, Mr. Armstrong spearheaded the renovation of many of the museum’s galleries, including the Scaife Galleries, the Heinz Galleries, and the expansion of the Heinz Architectural Center. He was also responsible for expanding the museum’s collections with the purchase of significant pieces of contemporary art, including, in 2006, a joint acquisition with the Albright-Knox Art Gallery in Buffalo of Rachel Whiteread’s large-scale sculptural installation Untitled (Domestic), 2002. In 2003, the museum acquired the Charles “Teenie” Harris Archive, a collection of more than 80,000 negatives by Teenie Harris, considered one of the most important documentations of African American life in the 20th century. Mr. Armstrong remains Director through November 3, 2008. Also under Mr. Armstrong’s guidance, the Carnegie Museum raised significant support for endowment, including: a generous gift from the Fine Foundation in support of the Carnegie International exhibitions; a sizeable gift from the Alan G. and Jane A. Lehman Foundation to establish a named curatorship in decorative arts and to support the purchase of decorative art, as well as paintings and sculptures made prior to 1970; and the Jill and Peter Kraus Endowment for Contemporary Art. Prior to his appointment as Director of the Carnegie Museum, Mr. Armstrong served four years as Chief Curator and Curator of Contemporary Art. From 1981 to 1992, he was a curator at the Whitney Museum of American Art, where he organized four biennials, as well as exhibitions on Richard Artschwager and The New Sculpture 1965-75. He also served as a curator at La Jolla Museum of Contemporary Art, California. Mr. Armstrong, who grew up in Kansas City, MO, graduated from Lake Forest College in Illinois with a Bachelor of Arts in Art History. He also studied at the Université Paris, Sorbonne, and the Université Dijon. The Guggenheim board reported that prior to his official start date Mr. Armstrong has plans to visit the Guggenheim museums in Venice, Bilbao, and Berlin. This entry was posted on Wednesday, September 24th, 2008 at 11:43 am	and is filed under Art News. You can follow any responses to this entry through the RSS 2.0 feed. You can leave a response, or trackback from your own site.